Diva Devotee: [Review] Beyonce And Andre 3000 Cover Amy Winehouse's "Back To Black"
[Review] Beyonce And Andre 3000 Cover Amy Winehouse's "Back To Black"
Beyonce's got the right idea: if you're going to cover an Amy Winehouse song, you better make sure it's as different as possible from the original. And that's just what she and Andre 3000 have done with their cover of the Mark Ronson produced classic, Back To Black. Reworking the originals structure and sound, the pair have made a version that sounds, simply put, as high as a kite. However, whereas Beyonce manages to still sound great in her haze, the most immediate problem I can see folks having with this rendition comes from Andre 3000's intentionally (I hope) out of tune delivery. It takes some getting used to, but I suppose it works with the languid and minimalist production. I don't think it needs to be said, but I'll say it anyway, this isn't a patch on the original. 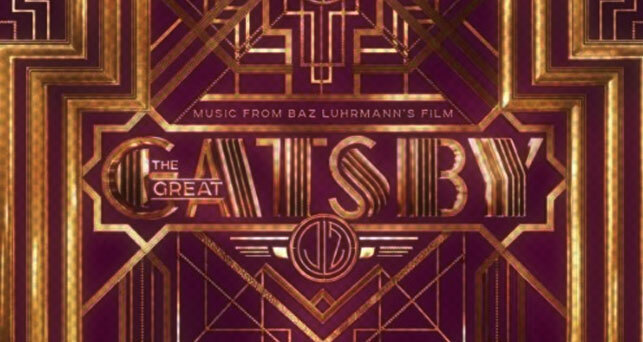 I just hope the version found on The Great Gatsby soundtrack is longer in length, because this "radio rip" sounds too short and, as a result, comes off lazy. A ratio of more Beyonce to less Andre might change all of that! Andre wasn't half bad. My issue was the damn radio host. Also I wished Beyonce was signing around g3/f3. The b3 seemed to not fit the song...idk. Andre needs to sing for real and stopped kidding. Honestly even though I prefer it when people take their own direction with a song thats been made famous, I feel it should I don't know...Stick to the genre. The song was almost unrecognizable and thats fine. But as the song stands...it was awful. I hated it. It was sluggish...drawn out, overly synthesized, etc. It might just be because Im a blues and jazz lover and Amy's will always shine in my eyes, but ew. This was...ehh. I respect Beyonce for attempting this, I have never called into question speratelther capability as a vocalist, only her ability to actually infuse a song with a genuine feeling. That aside I prefer Amy's version, only because Amy was one of those extremely rare singer/songwriters who could explain not only the full meaning and feeling of the song but deliver it in a mirroring fashion to what she was feeling at the time, hence my distaste for a lot of cover songs tbh! Her voice sounds great don't get me wrong, all the notes are in the right place, but this desperately needed the soul and emotion that the original song was penned to elaborate upon. She's a lyric voice, don't expect too much. Then again so was Amy, but she was on the lower spectrum where as Beyonce could be mistaken for a soprano at times lol. Although, Beyonce can handle lower tessituras, In "Dance For You" she stays in the lower 3rd octave and dips into the second octave at times. I understand. I was thinking of kimbra because in most of the time she sings e3s, f3s, and g3s. But I was wrong gauging kimbra as a lyric mezzo. her volume capacity tells otherwise. Not only that but she sings in a Mich lighter tone than what is trully hers. She is naturally steelie, nasal, and gosh her voice surprisingly thick. But that is another story. Beyonce is a higher tessied mezzo and kimbra is close to the lowest that is biologically possible lol. Buy Beyonce did do a hood job in the upper third octave. yeah, the more time goes on the more I miss Amy and her ability to write and emote great songs. It really does make me sad that we won't hear any more from her. I suppose we should be grateful for the two albums we have, but I still bitter about her passing so young. I'm thinking it'll make sense in the context of the movie, maybe? Well I hope it will! Might explain the length, too. But honestly, just the first 5 secs is enough to tell me Amy's is already better. I think the radio host did that to stop it being ripped and distributed online. Also, I just realised it's the original producer, Mark Ronson who is doing the talking. In spite his words, even he didn't sound too impressed. right , as a fan (not stan) of amy that has her lyrics tattoed on himself i am probably extremely biassed but can see positives here .and as pre stated by DD this dosent have a patch on the orginal. andre 3000's controbution confusses me , its like a improv attempted at jazz but ends up abit messy but i can see what he was attempting and i dont really fancy it. they very much decided that in ordered not to be slain by amy fans they would change the song to the point of no return and i respect that but there is a difference between an artist painting over a masterpiece with his own work and a beautiful reproduction. this is sadly the first. Beyonce impressed me if only for a second as her delivery was much better than i had expected, i felt no connection between her and the song but that could be due to me hearing that song almost everyday and how amy could tell a story with just the tone of her voice . Beyonce tried a smoky technique thats nice for Beyonce but maybe not for amy as back to black isn't an RnB ballad. all in all i dont hate it but i dont think its great , it was a risk and they took it and ended up mulling around with a meh cover of a great song. oh and to finish ..........EAST VILLAGE RAIDIO CALM YOUR T**S.
Totally agree wirh every word there. Every time I hear Amy these days it strikes home what a huge loss her death was to music. Not too many of whom one can truthfully say so. But Amy ..absolutely! You couldn't have put into better words! I just wish she had met the light at the end of that tunnel and pulled it together, unfortunately that didn't happen, but gosh what a legacy she left behind! DD, don't be mad!!!! Ever since I discovered this blod (seems like years ago now lol) I have loved everything about it! Your work here is outstanding, never forget that! I, being a huge Beyonce stan, liked it. I hated Andre though, wtf was he doing? Obviously not as good as the original. I don't think Beyonce was trying to out do Amy. The way she approached the song was completely different. She kept it very simple in delivery, which is what the song called for in my opinion. I just wish the song was longer and had more Beyonce. also love the comments here. only place in the world these kinds of topics can be addressed seriously. re my own thoughts on this topic, i love Amy Winehouse more than any fan could and still cringe at the thought that she will never make more music. this cover is great cause it brings more attention to the fact that no artist, with no amount of hype, could ever top what that woman could do in her sleep. The film is supposed to be set in the 1920's of new york...so I feel like all of these more electronic tunes kind of contrasts too much. Bey's vocals are as always, flawless. That much must be conceded. I feel like this song is a milestone for her because, personally, this is the first time I have actually detected some sort of emotion in Bey's voice. Got nothing on Amy's version though. Lol and you were right to be sure. Kimbra is a lyric as well. The diversity in the lyric mezzo branch is very ranging. Barbra Streisand is a lyric mezzo as well, and Barbra has a voice that could stop a truck. I don't listen to Kimbra much, but from what I've heard she sounded like a lyric voice, slightly lower than the usual. I see her as a lyric mezzo soprano with dramatic abilities. She doesn't have a cavernous lower end to be considered a dramatic but her lower end is well developed. I just want to hear her sing something in her natural tone like she did in her pre-debut stuff. Also I figured the lyric branch is broad. I just wish I could change the market for pop music. Like, I'd make lyric voices sing songs that compliment their voices and dramatics would too so they'd be easily identifiable. I'm also a huge fan of the metal in kimbra's voice as she belts in the fifth octave. I'm currently making a vocal range vid for her where she was belting all kinds of weird notes... One climbd to c#6. Her studio vocals are already quirky but her live stuff just is sporadic and theatric... It is good but it will make you laugh. I thought it was horrible BUT the original is one of my favorite songs, so I guess my thoughts on this are incredibly biased. I just don't get why Beyonce didn't opt for an original cut like Lana or Florence. In my opinion, the song doesn't seem to work with the context of the film, nor does it seem to flow well with Florence's and Lana's contributions to the soundtrack. Beyonce should maybe have done this on her own, as her contribution was easier to listen to. I think using Amy's original back to black would have been fitting, somewhat. The song does run some parallels to Daisy and Gatsby's situation, but for the modern adaptation it wouldn't work. It would work more in like a "fan playlist", y'know, those playlists fans make and post containing songs that that fit the theme of whatever novel/movie they see fit. I think the crux of the problem people have with this cover seems to be with Andre's portion of the song, and I agree with this sentiment. That but for me also the instrumentation. I as far as one could call it such. I honestly think it should have just been left alone haha. Bey i love you but were you looking for someone to hit on you? He is dying, she is searching for someone to get laid with. Great.